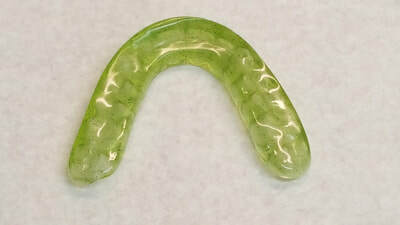 We are so confident about using ClearSplint flexible night guards, it is the only type of hard night guard we make. Between our experience and the feedback we get from our doctors, it is going to be a hard sell to get us to change. 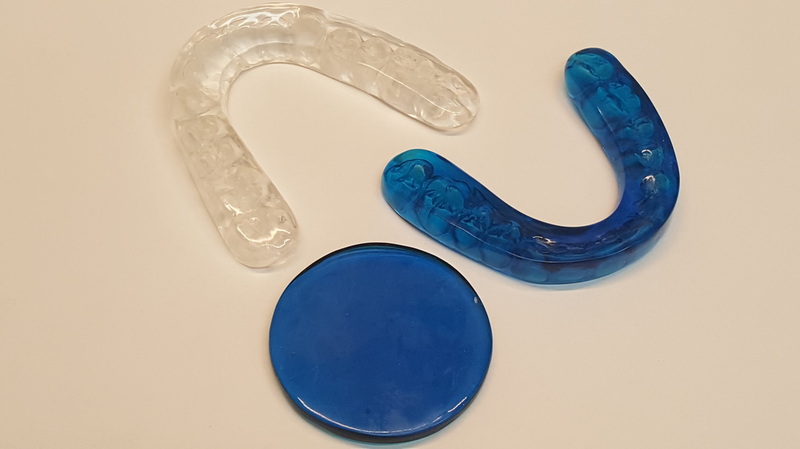 If you have never wore one or had one made for one of your patients, you will be surprised how much better they are than a standard acrylic night guard. 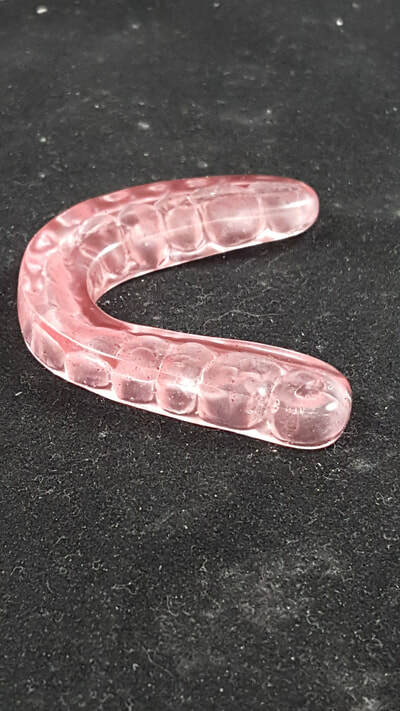 They look and feel like a standard hard night guard until you warm them up and they become flexible. 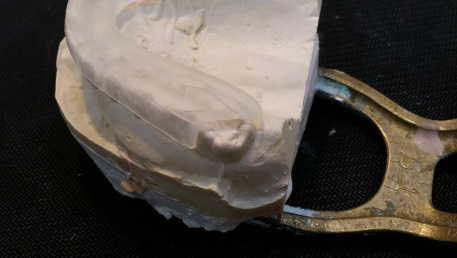 They can even be repaired, relined and finished like a standard night guard. Try one today. 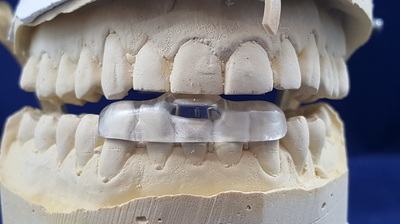 Our most requested type of night guard has Full Contact with Anterior Guidance. This will provides immediate disclusion of posterior teeth from an anterior ramp. These can be made for both the upper and lower arches. Of course this is not the finished product. The ramp was reduced a bit more, but these pictures show how the ramp works. 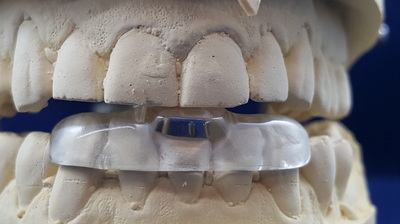 If a full contact night guard is needed without an anterior ramp, we do those too. 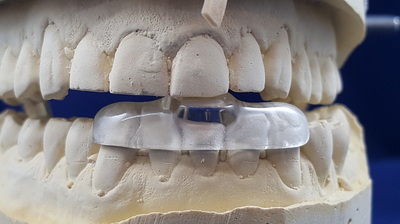 Another common type of Night Guard is the anterior only NTI. 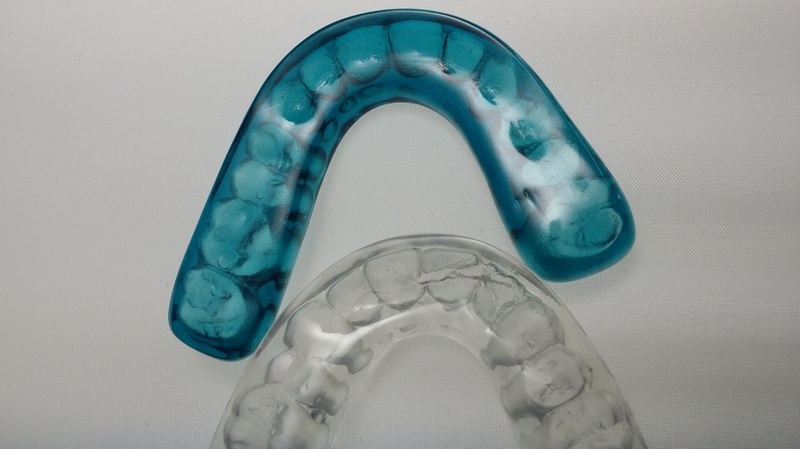 What makes the NTI style night guard different is it only has anterior contact with the Central teeth. 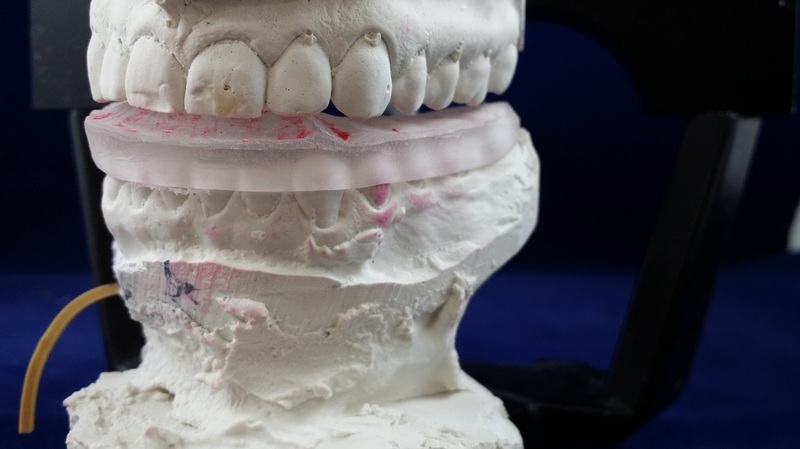 The idea is to keep the Cuspids and Molars from having any contact. We had another color update. 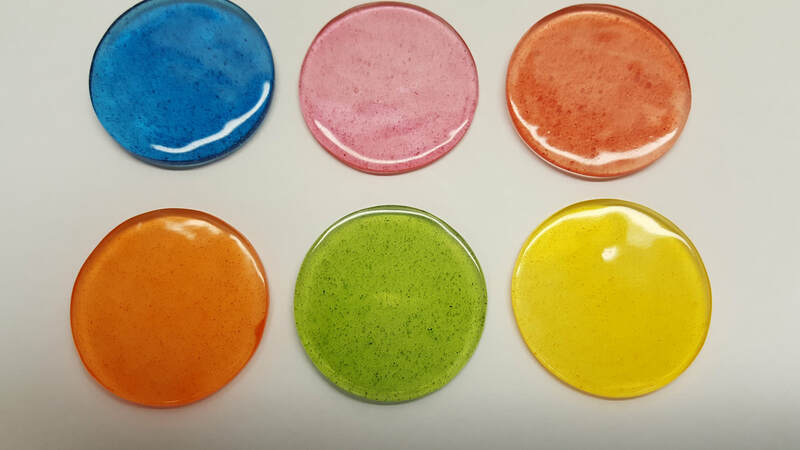 We did some more experiments and came up with six new colors. 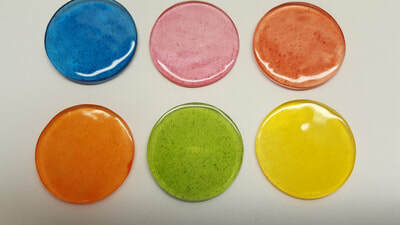 The new colors are blue, pink, red, orange, green and yellow. 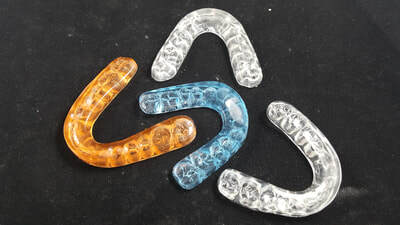 The colors are a nice upgrade to the original clear night guard. 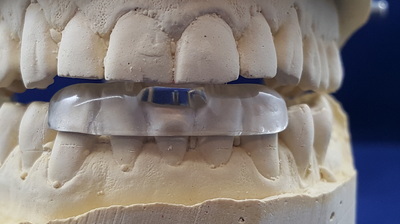 They are especially nice for those patients that have troubles finding their clear guards. This set of colors are a lot more stable than the older ones we made, which is the main reason for the new line up. Here are a few we have done in the past. 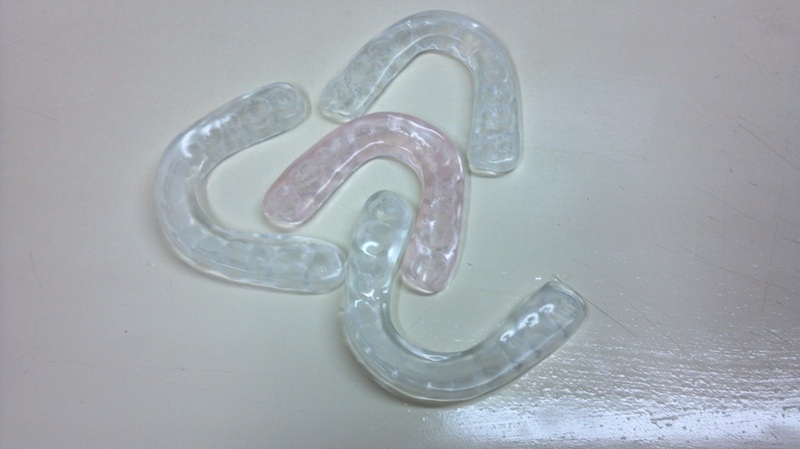 These are not in our new color line-up, but will give you a good idea what the colored night guards look like. This is a picture of a blues one we made that is darker than the new blue. 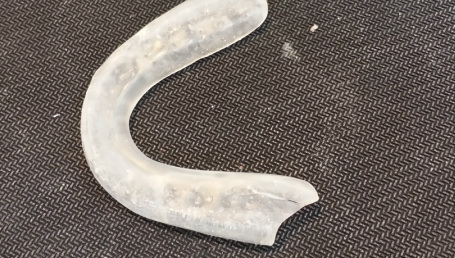 Can we repair or reline the night guards? The answer is yes. 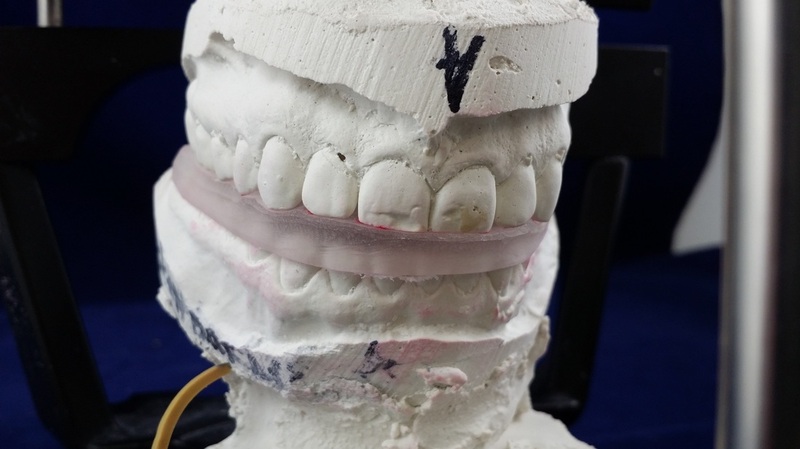 This is an example of a case that we repaired. You can see how nice they look after. 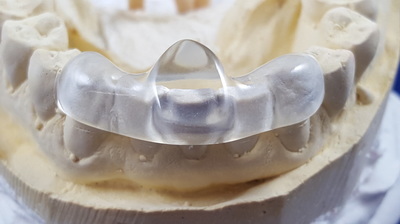 ​Caring for the Clearsplint night guards are easy. Just use a mild dish soap with a soft brush or use the official cleaning kit. We can provide them for you or click the picture below to go to their website. 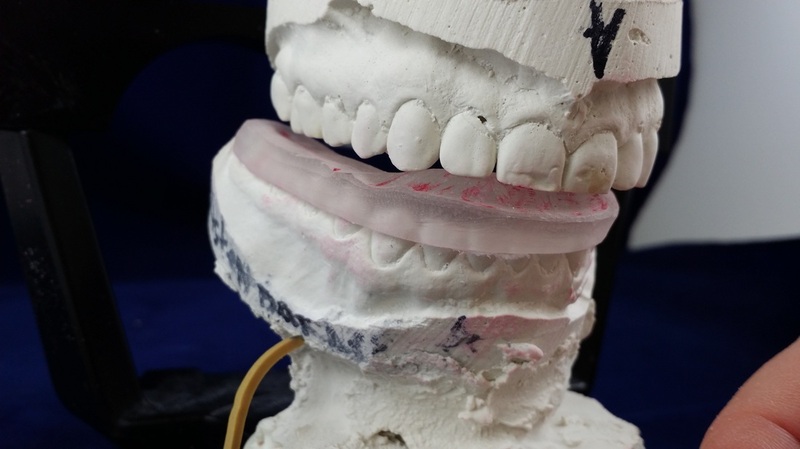 Also, make sure you store the night guards dry when not being wore. 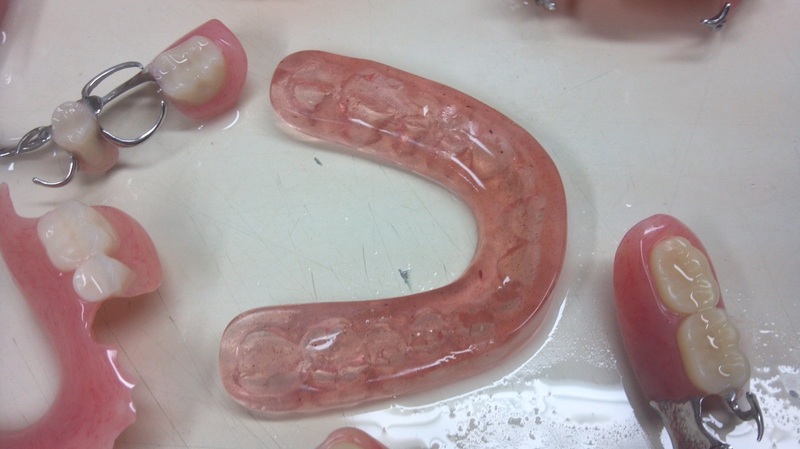 If you soak them at night like a denture, they will become cloudy and will not be clear. 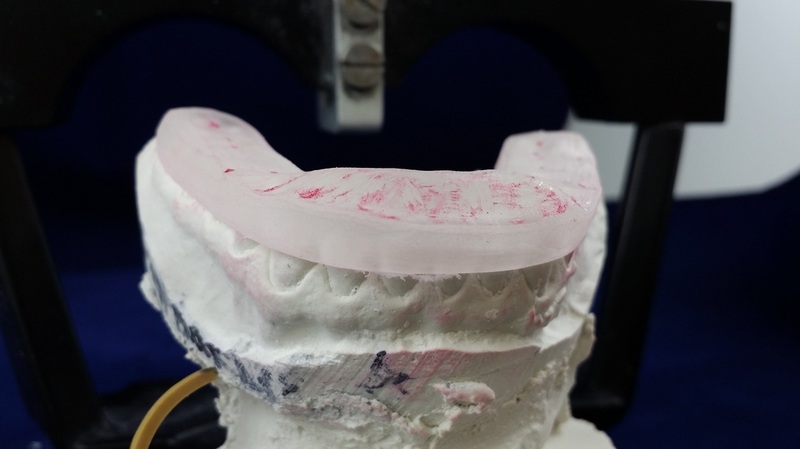 DURAclean2 is easy to use! Fill the enclosed nightguard box half full with warm tap water (approximately 1/2 cup.) Add one scoop (3/4 teaspoon) of DURAclean2, mix solution to dissolve powder. 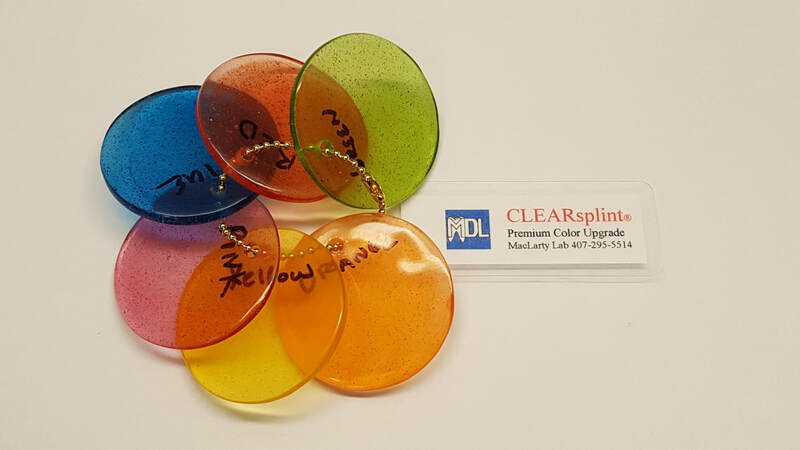 Soak CLEARsplint nightguard in solution for 15-20 min Remove CLEARsplint nightguard from solution and brush thoroughly using the enclosed brush. Rinse CLEARsplint nightguard thoroughly under running tap water. CLEARsplint is the superior and optically clear nightguards with FLEX. Optical clarity is nearly invisible while wearing. Material is stronger with greater stability ideal for bruxism patients. Amine-free to never yellow. MMA-free* to eliminate allergy problems. Self-adjusting when placed in warm water before inserting in the mouth. Waterability and patient comfort are rated excellent.